Have you tried our lottery yet? We have sold over 1000 tickets in over a week since the launch date. Visit us and win a jackpot today! 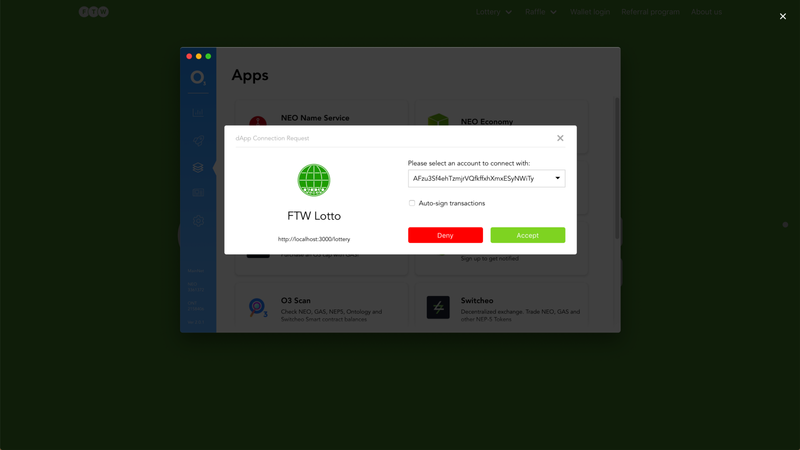 We have finished the O3 wallet integration and you can use our app with O3 wallet. Open your O3 wallet and using our app, select “Connect with O3” button. 3. 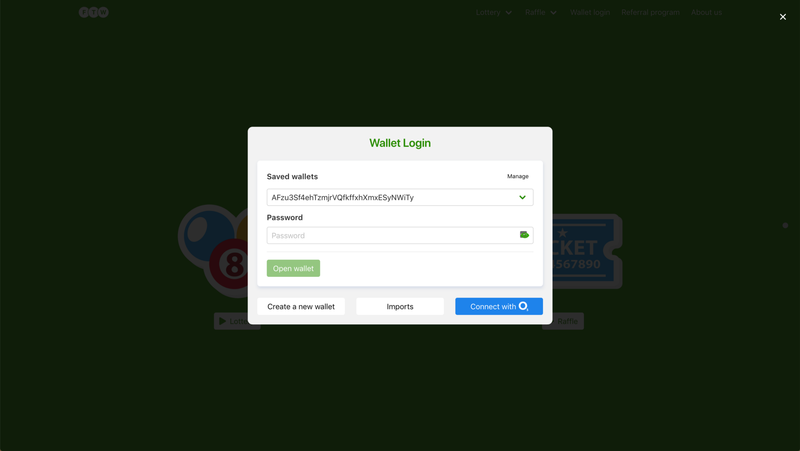 You will be asked by O3 wallet to connect to one of your accounts. Select your wallet and Accept. You will be asked again whenever you try to send your funds from O3 wallet. Thanks to O3 team. They have a great API and well-organized document. It was easy and smooth to integrate. We opened our referral program. Share our link with your NEO address. You will be rewarded 5% of the ticket price whenever people who have referred purchase tickets.